ROMAN BLINDS are one of the most popular window decorations used in modern interiors. They owe their popularity to their functionality accompanied by unlimited arrangement possibilities adapted to the individual tastes and likings of the dwellers. 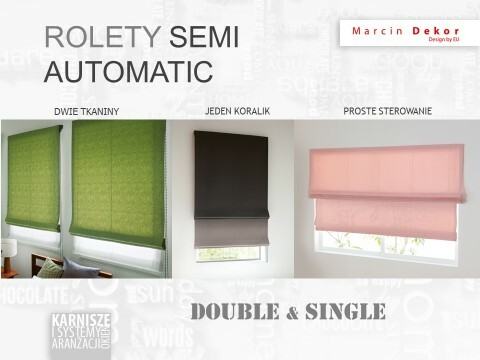 Manual mechanisms for ROMAN BLINDS offered by Marcin Dekor are universal systems, which may be used for roman blinds, austrian festoon-blinds or venetian blinds. The character of the decoration is determined by the chosen fabric and the manner in which the blinds are arranged.